A homemade treehouse built just for fun. NOTE THAT THERE IS INFORMATION ABOUT MINOR BUILDING WORK AND THE LAW AT THE END OF THIS POST. There’s nothing better than making, or creating, or building something special for your kids. And if you have young boys (or seriously girlie “tomboys”), a treehouse could be the very best prezzie you will ever come up with this Christmas. It’s unlikely to be a big surprise (BIG it may be … but unlikely a surprise, unless the location is way-away from the house, or because you’ve shipped your kid to boarding school in-between and he or she hasn’t seen you hard at work creating your little bit of treehouse magic). We built a treehouse once – when our three kids were still young enough to appreciate the adventure! It was set in the branches of two well-established pine trees, raised 2.5 m above the ground, and had a floor area of about four square metres. Well, if truth be told, it was actually inspired by the need for an “inspirational” project for a book we were producing for NHP – the offshore wing of Struik … the local SA publisher that is now a part of the hugely successful Random House. Published in 2003, and called The Complete Book of Outdoor DIY, the book is sadly now out of print. And the treehouse was dismantled when the property was developed. Or perhaps I should say, how we built our treehouse. First step was to find a suitable tree for the treehouse. The only trees in the garden were established pines, and there was no one tree with lateral branches that were close enough to the ground to be incorporated in the structure. But there were two trees growing 2.2 m apart, and we opted to use the trunks of both as primary supports. We used 90 mm gum poles as support beams, and secured these to the trees with 100 mm x 100 mm brackets and coach screws. Then we bolted more poles on top of these beams, against the two tree trunks, using cup head bolts. 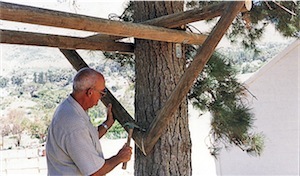 To strengthen the support structure, we nailed a V-brace to the tree and the end of the cross beam against the tree on both sides. To strengthen the support structure we used split poles and nailed these to the ends of the top poles and the tree to form a V-shaped brace below the beams. Then we bolted two more beams across the top of the support beams so that there were four beams at 700 mm centres to support the floor. We decided to use tongue-in-groove pine floorboards for the floor to minimize splinters. Once the floor was in place we completed the framework for the treehouse, using 90 mm split poles. We nailed split poles to a cross beam at each corner – with the flat part of the facing inwards. Two of the split poles were 1.7 m long and the other two 1.9 m, to create a slight slope for the roof sheeting. Then we fixed two 1.6 m-long split poles to the floor between the 1.7 m uprights (with the round side inwards – so we had a flat surface to nail on the cladding) using 75 homemade steel brackets and nails; and 1.8 m long poles between the 1.9 m corner pieces. We also used split poles to complete the upper horizontal part of the framework. 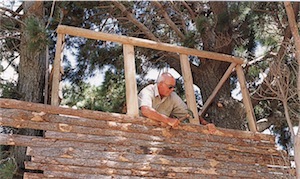 Janek nailing the cladding to the outside of the structure. On the perpendicular sides you can see how the cladding is nailed to the inside – and this is where daddy’s little helper had such a lot of fun with his hammer and nails. For cladding we chose the first cut of pine, still with the bark on. This is cheap, though untreated wood, and is often used for squatter housing! It’s easy to work with and lasts a surprisingly long time. We’ve also used it to build stables twice… but that’s the subject of another story. For the treehouse, we chose to incorporate two openings for windows and another for the doorway, and then nailed “steps” onto the tree trunk. Before the roofing could be fitted (we used flat fibrecement, but corrugated fiberglass would be just as good) we added a central beam, screwing it into the top of the framework on each side. Last step was to nail the roof sheeting on, overlapping the two 2.3 m x 1.2 m x 10 mm sheets. This may sound like a contradiction, but you can build a treehouse even if you don’t have suitable trees – or don’t have any trees in your garden. Our friend Tony Mansfield is a past master at this. What Tony does is to source suitable trees that he “plants” in concrete footings. 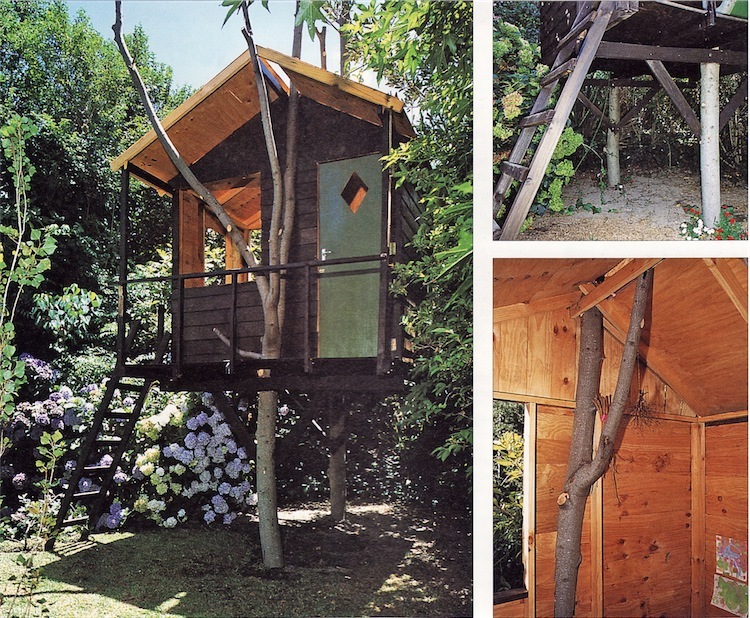 This little treehouse (that measures 2.4 m x 2.4 m, including the little 750 mm-wide covered deck) is one of Tony’s creations. It featured in another of our books, Build Your Own Outdoor Structures in Wood published by New Holland Publishers in 1996, and then given a new look cover in 2001. The playhouse is set between – and bolted to – two dead, but sound and sturdy, tree trunks that have been concreted into 600 mm x 600 mm x 600 mm foundation footings. The house was made mainly of exterior-grade plywood (which is weatherproof), and the floor was constructed from solid shutterboard. Tony ripped the plywood he used for the cladding to form 150 mm wide lengths. Like our treehouse, this one has openings without glazing or shutters for the windows. It does though have a solid door. A timber step-ladder leads from the ground to the deck. As an author, if I am going to suggest to anyone how to build a treehouse, I do realize that safety is a primary factor. So first off, you will need to ensure that the wood you use is going to last… well as long as it needs to. This won’t be a permanent home, but you really, really DO need to make sure it is safe. So, I can hear you all whispering… knowing how we keep telling our website followers to be sure what they do is legal… “is a treehouse legal?” Strictly speaking, in terms of the National Building Regulations, it depends on its size. A child’s playhouse that is no more than five square metres in size is categorized as minor building work, which means you don’t need plans for a treehouse the size of ours or Tony’s. The term “minor building work” was coined to describe certain building projects that were minor in nature, or minor in magnitude, and therefore did not warrant the submission of plans to local authorities and city councils. 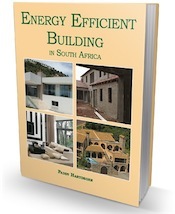 However the SANS’ “deemed to satisfy rules” in the building regulations (SANS 10400) do state that even minor building projects require an application to be submitted to the local authority so that it is aware that work is proposed, and so that it can (if necessary) set conditions where national building regulations are required to “control” the proposed building work. 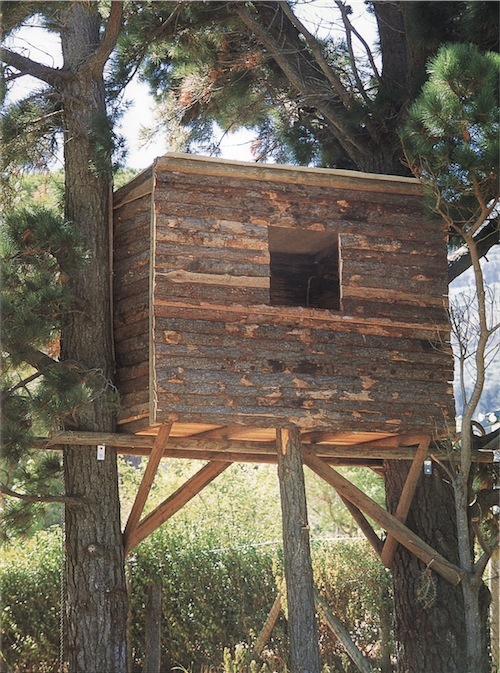 In reality, not all local authorities will find it necessary to have an application for a little treehouse. As the “rules” state, “it is left to the discretion of the building control officer to decide whether or not it should be classified as minor building work and if so, what plans or other documents should be submitted with the application”. Further, “The intention should be clear that for this type of building, which does not involve eating, sleeping, living or working areas for any person, there should be an absolute minimum of control placed on any reasonable structure”. So will your kids have a treehouse hideaway this year? If you think a treehouse would go down well in the land of your offspring… offer the opportunity, and engage them in the experience. That will certainly be a “surprise” your son or daughter will NEVER EVER forget. Even if it is minor building work – what if it is along the boundary wall of your neighbour? What if your neighbour objects? The privacy issue is a difficult one and you can’t force a neighbour to share costs of a wall you own. The other factor is that by adding three slabs you might be taking the wall over the maximum 1.8 m – in which case you’re going to need an approved plan. You can object to the lack of privacy by threatening legal action (an attorney would have to help you with that) – and/or you might be able to find a way via the PAJA legislation. The other possibility is that because the structure incorporates a deck the council might say your neighbour should have had plans to erect it – and if it is right next to your boundary wall there’s a good chance (unless you are in Cape Town) that he needed your consent. So contact the council first and ask their advice. If that doesn’t work try a lawyer’s letter. Otherwise just pay for the wall – but make sure you are building legally.